China's TiO2 price slightly increased in April 2018, while few transactions were made due to falling raw material prices, especially ilmenite. China's TiO2 market was relatively stable in April 2018. However, downstream companies hold a wait-and-see attitude towards purchasing because some large-scale TiO2 manufacturers have secretly cut the actual transaction prices and small-sized producers quote lower prices for sales promotion, resulting in fewer transactions. According to market intelligence firm CCM, downstream industries become pessimistic about the future TiO2 prices due to slightly weakened domestic demands, steady operating rates of TiO2 manufacturers and dropping ilmenite prices. Nevertheless, this depression potential may be offset by limited inventories of most TiO2 companies and more stringent environmental inspections in the reaches of the Yangtze River, which has already led to 2-to-4-week production suspension of some factories. In addition, the 2018 Forum for the Shanghai Cooperation Organisation will be held in Qingdao City, Shandong Province, influencing the operating of local TiO2 enterprises and bringing smaller market supplies. In this context, China's TiO2 market is predicted to remain stable and the transaction price will keep varying for every deal in the short run. In April 2018, China's TiO2 prices edged up. The mainstream quotations for rutile TiO2 went up by 1.22% MoM; and that for anatase TiO2 decreased 0.58% YoY. In early March, some domestic mainstream TiO2 manufacturers, such as Shandong Jinhai, Guangxi Jinmao and Panzhihua Taihai raised quotations by around USD100/t, following the famed international TiO2 enterprise Venator Materials PLC. When it comes to April, this upward trend continued. However, few transactions were actually made in the market at higher prices. This can be attributed to two reasons. 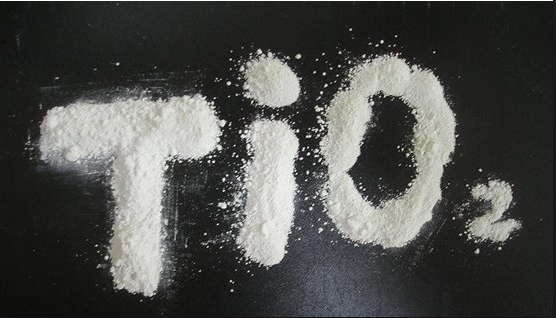 Lomon Billions, the domestic leading TiO2 enterprises did not quote higher prices for its TiO2 products in March, which was regarded as the implication of price drop by some manufacturers. They, taking decelerated demand growth into account, were anxious to sell their products, so started to lower their quotations, further messing up the market. In addition, the prices of ilmenite from Panzhihua and Xichang cities, in Sichuan Province showed a tendency to decline from mid-April as some small- and medium-sized ilmenite factories decreasing their quotations. In this context, downstream customers of the TiO2 industry became very cautious about purchasing and holding a wait-and-see attitude. High titanium slag manufacturers finished accepting new orders at the beginning of this month and kept production to fulfil these demands. Acid dissolved titanium slag prices in the Panxi Area remained weak in mid-April. As the ilmenite prices are likely to edge down in the short run, acid dissolved titanium slag prices will follow this falling trend. The ilmenite prices in the Panxi Area dropped triggered by fewer orders provided by the downstream TiO2 industry, which faced smaller demands in the traditional peak season that will soon come to an end. Influenced by this, ilmenite prices in Yunnan, Hainan and Shandong provinces also slid down. Particularly, the price in Yunnan Province was strongly beaten down by customers. Furthermore, domestic ilmenite had to compete with imported ones. In Hainan Province, the ilmenite quotations remained high due to government restriction on ilmenite exploitation and high operating costs. Since prices of imported ilmenite were relatively lower, few trades were seen in the market. TiO2 is one of many chemicals in China, whose production has been disrupted by the government's move to cut down on pollution. As part of its 13th five-year plan, China plans to reduce pollution by shutting down 500 million tonnes of coal production and up to 150 million tonnes of steel production by 2020. As a result, Chinese ilmenite production could fall significantly, missing as the raw material for TiO2 production. If China is successful in reducing steel production and if ilmenite output also declines, then this should put additional pressure on TiO2 prices. CCM is China’s leading market intelligence provider for the fields of chemicals, agriculture, food and feed. Get regular and exclusive insights into China’s TiO2 market by subscribing to CCM’s monthly published report Titanium Dioxide China Monthly Report.